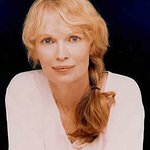 Actress Mia Farrow is to attend a special seminar next week to discuss the political-rights crises faced by women in Thailand and Burma. The seminar – to be held in Thailand’s Chiang Mai University on July 21 – will be led by Nobel Peace Laureate Jody Williams, and will feature female activists from all around the world. Organized by the Nobel Women’s Initiative, the seminar will cover a range of issues relating to the treatment of women in the political arena, and will include video testimony from Aung San Suu Kyi, the 1991 Nobel Peace Laureate who has been under house arrest in Burma. Organizers hope the seminar will promote the unseen work of women in local governments in Thailand and Burma, and give them a chance to speak out. Other well known activists expected to attend include labor rights activist Qing Zhang from China and Dr Sima Samar from Afghanistan.